In collaboration with the Hampton Roads Planning District Commission, the five Southside cities competed as a region against over 69 teams from across the country. The challenge culminated in a showdown where each team gave a Shark Tank-style presentation to a panel of judges. 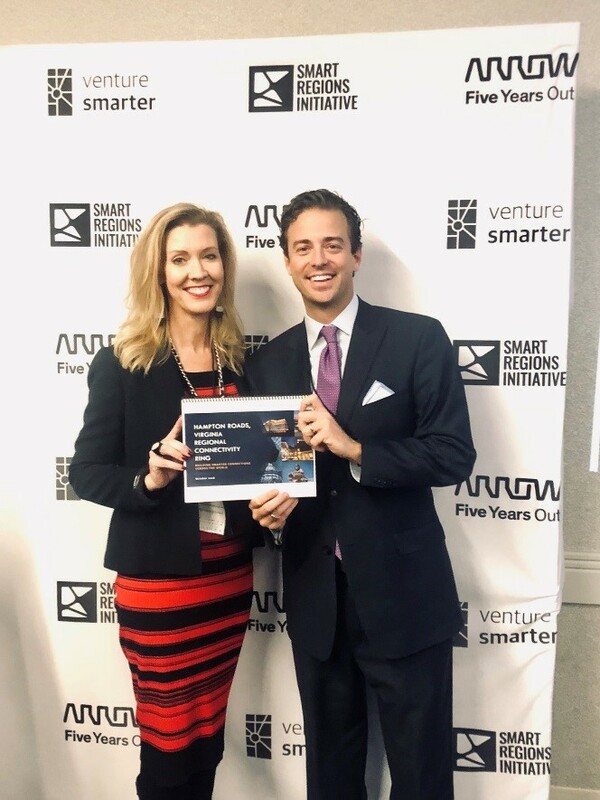 The Hampton Roads team was represented by Councilwoman Andria McClellan and Virginia Beach Councilman Ben Davenport who together delivered a compelling pitch on behalf of the region. The Hampton Roads submission included a suite of eight projects centered on the Regional Connectivity Ring; a dark fiber, open access ring that will connect all five Southside cities to the transoceanic cables, accelerate the growth of digitally empowered communities and serve as the foundation for smart regional development. As a result of this win, Hampton Roads will receive grant funding, project financing and support for our innovative, smart infrastructure plans.